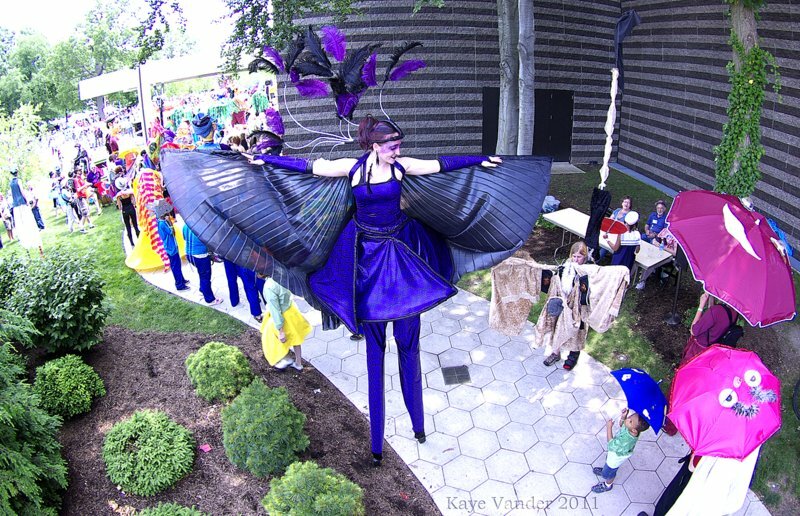 When you need an entertaining and mesmerizing stiltwalking performance, Pick up Stix is a Cleveland based company offering professional, experienced and insured stiltwalkers. With over 20 years of stiltwalking experience, Pick up Stix can provide the perfect stiltwalking performer for your event. Whether your venue is for corporate, promotional, educational or private event; Pick up Stix will be glad to provide the right stilt walker whether on 2 legs or 4. We are sure to have the right costume and stilter for you! If you do not see the costume for your events theme, we can make one with advanced notice and a stilt costuming fee. Pick up Stix ~ Locally owned and operated since 1992. Pick up Stix is a Cleveland group of stilt walkers, street performers and costume designers that can be booked for your events.